Pocket Prep is an award-winning tool in mobile learning and exam preparation. Pocket Prep allows you to study anywhere, anytime, right from your mobile device. 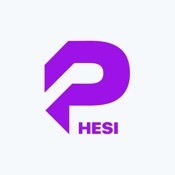 We strive to make studying more efficient by redefining how you prepare for the HESI Admissions Assessments (HESI A2®). Create customized practice tests, view detailed answer rationales, and review your results with just a few taps! Take your admissions assessment studies with you, no matter where life takes you. We provide a limited free version so you can get a feel for the app before deciding to upgrade. The free version offers 74 questions with detailed answer explanations. A one-time in-app purchase grants full lifetime access to our HESI A2® app. Our team of writers and editors are industry leaders who have meticulously crafted HESI A2® practice questions and detailed answer explanations with you in mind. Since 2011, Pocket Prep has been the leader in mobile learning and has helped over two million students and professionals achieve more.